Black Friday is one of the most historic shopping holidays, tracing back to the inception of Macy’s Thanksgiving Day Parade in 1924. In the mid-60’s, the day after Thanksgiving was given its famous name by the Philadelphia Police Department to describe the chaos of shoppers creating traffic jams around stores downtown. 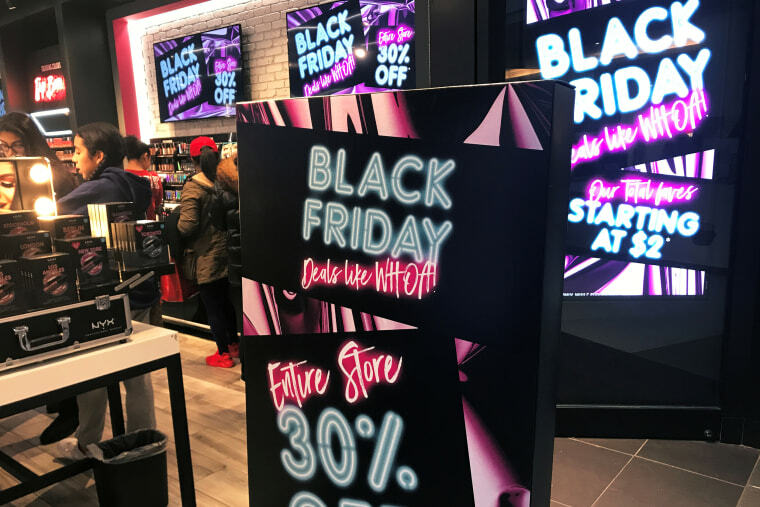 Surely, a lot has changed since then, and with the boom of ecommerce and the influx of other mega shopping holidays, Black Friday as a one-day brick-and-mortar extravaganza has lost some steam. Now, Black Friday exists both online and offline, and heralds the official beginning of the holiday shopping season (if you didn’t already stock up on Amazon Prime Day, that is). Cyber Monday happens just a few days later, and last year out-performed Black Friday, bringing in nearly $6.6 billion compared to Black Friday’s $5 billion (a number that also considers buys made on Thanksgiving Day itself). Black Friday may not be the be-all and end-all blowout it once was, but it’s still a significant time for savings — and with that, spending. What awesome sales can we expect on Black Friday and which are the dud deals we may want to avoid? Try these tips to navigate the holiday weekend without getting overwhelmed. By breaking the list into two sections, you can more aptly stay on budget, and also narrow down specifics to meet all your holiday shopping goals. Additionally, making a list helps you dodge impulse buys, which can cost Americans over $5,000 a year. Though big box retailers started pushing out holiday deals earlier this month, generally you want to wait until Black Friday to maximize savings — unless you’re shopping for something hotly in demand, like certain toys. “Based on shopping and purchasing habits over the past several years, you’ll want to snag top toys by Black Friday, thanks to supply and demand,” says Hudson. For a look at what some of the most wanted toys are this holiday season, check out Amazon’s Top 100 Toys list. You can see which items are featuring discounts, and search according to which sport the strongest savings. When searching online, remember to use a browser extension for cashback or automatic application of coupon codes. I recommend EBates, Honey, Wikibuy, TopCashback and RetailMeNotGenie. Per Black Friday tradition, retailers will be delivering doorbuster deals. Typically rolled out on Black Friday morning (though we also see them slide in on Thanksgiving Day), these can be the trickiest sales to navigate because they all seem so worthy, but undoubtedly there will be some mediocre offerings. The key is to know what to look for. Hudson adds that we can also expect to see appetizing deals on kitchen appliances. “Whether you’re looking to upgrade your kitchen or simply need a new blender, Black Friday is the time to shop all kitchen appliances,” says Hudson, adding that big-ticket items won’t be the only steals to jump on. Retailers will likely be pushing savings on tech, but be cautious and read up before making a (discounted) splurge here. Most likely, you’ll find tech that is strong in some areas and weak in others, so just read up on the item before buying it. It may be just what you’re looking for. “An older model on deep discount, say, with a slightly slower processor (or lower resolution) but higher memory and storage, can be the better deal than a new release,” says Fabregas. Amazon holds its own Black Friday-like event with Prime Day in July, but the mammoth company is not about to miss out on another goldmine. Consumers can expect an ongoing festival of Amazon sales around Black Friday and Cyber Monday. Smith adds that Amazon's exclusive offerings will be featured prominently across the site in an effort to raise awareness for its more than 130 private label brands — “which sell everything from mattresses to activewear”. “We'll see a range of discounts across Amazon's portfolio of internet-connected Alexa devices, with the newest models such as the Echo Look being discounted the most at up to 50 percent off,” said Smith. Set your budget as early as possible (like, now).